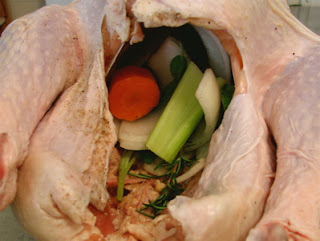 Thanksgiving Dinner is finally coming! The shopping is done, the relatives are on their way, and the table is set. Time to focus on the dinner centerpiece (The Thanksgiving Turkey). Home Folks have tried lots of variations on cooking the Thanksgiving Turkey smoking, deep frying but most of us still put it in the oven to bake.I have two kinds of recipes for your Holiday Turkey. One is the oven way and the other is the grilled. 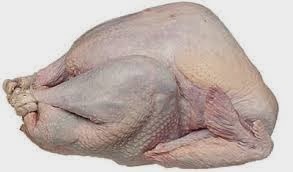 Don't let cooking a Turkey be a problem...because he is a Turkey and you are in control in getting it beat. I remember very well messing up the Turkey for the holidays, it was dry as a bone and tasteless and it put the U in ugly... I said I will never do it again! But you see I did not let that happen. 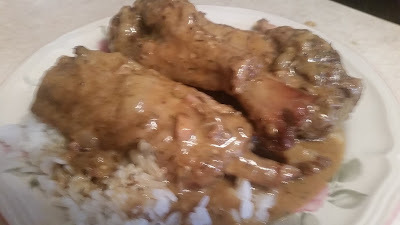 One thing I learn about food if not cook right.... you can make it right the next time." much love in cooking"
Those disposable aluminum pan you buy in the store pass them by...That is the worst thing to cook your Turkey..And plus they can’t be used to make gravy on the stove top. 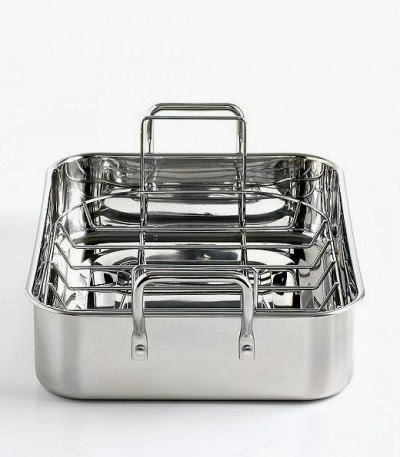 A large sturdy roasting pan is very well needed (look for one that’s at least 3 inches deep) with a roasting rack, so the turkey can sit just above the drippings and helps it cook evenly all over. 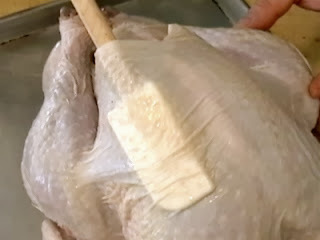 You should always thaw your turkey in the refrigerator. Normally, it takes 5 pounds per day to thaw. 15 pound turkey will take 3 days to thaw in the refrigerator. 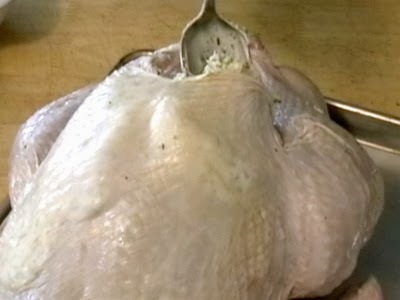 Make some season butter for your Turkey and what you want to stuff inside.This is your Bird and you can put what every you want inside like veggies or cornbread stuff. 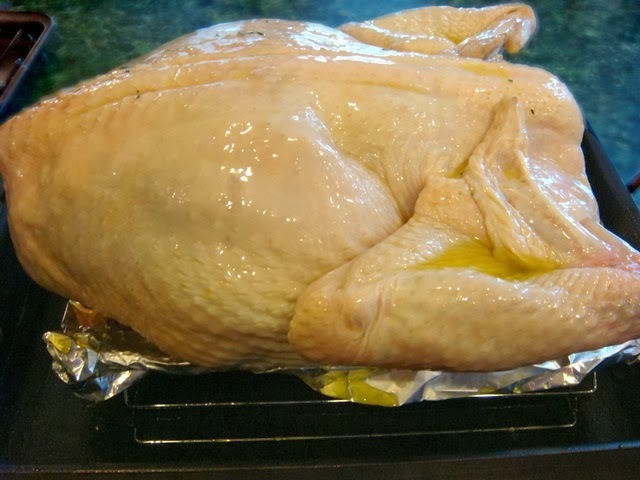 Oil the Turkey all over with cooking oil 1.salt and black pepper to taste 2. 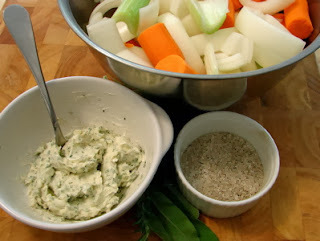 Dry herbs your choosing and 3. paprika this make it brown very nicely. How long to Roast Your Turkey???? You Wonder???? 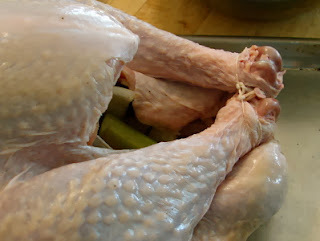 Depending on the size of your bird and whether it’s stuffed, it should take anywhere from 3-6 hours to roast. 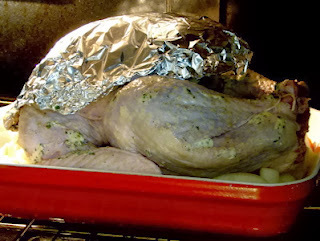 at 175 in the oven I like to cook my Turkey slow it will brown more evenly and juicy.and won't over cook. 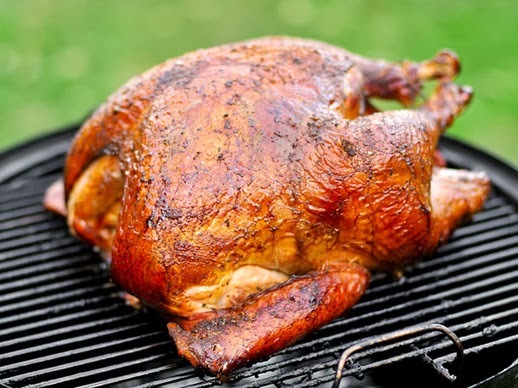 Always use a meat thermometer to ensure that the internal temperature has reached a minimum of 165 °F. 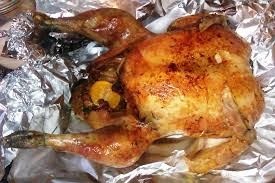 Many like their bird at 180 °F. 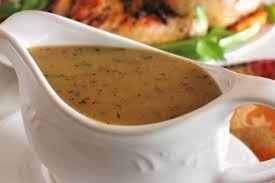 Uses the dripping for the gravy remove extra fat. 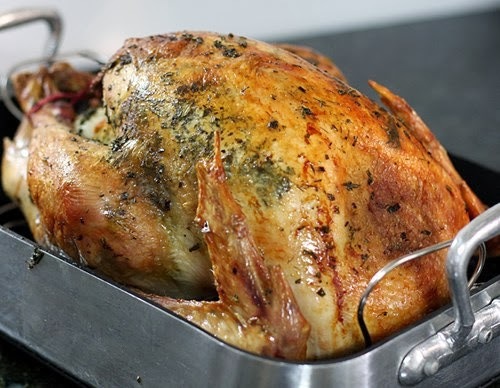 pour dripping in a pan or leave in roasted pan cut up cooked turkey parts add to pan 2 or 3 cup of water with 3 tablespoon plain flour stir until thick and smooth on low heat.